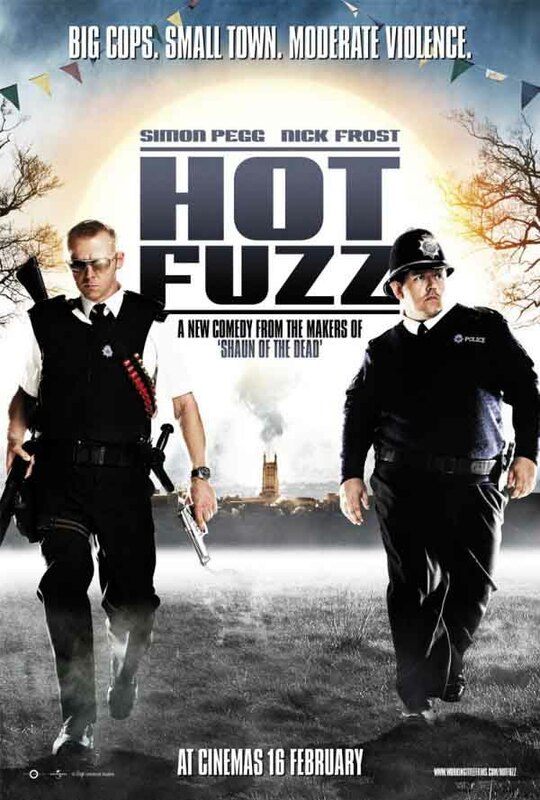 In the grand tradition of send-ups like Naked Gun, Tropic Thunder and Tucker and Dale Versus Evil, this goofy UK film tears apart movie stereotypes and cliches while providing relatively harmless laughs. It bears no relation to reality and exists solely as distraction but serves an important role in revealing movie tropes for the empty and implausible scenarios they are. As in most good films, it begins with hyperbole and descends into satire. A super-cop from the city moves to a small town where he finds that mysterious deaths are going unreported. He investigates and finds a dark secret to this idyllic and seemingly useless place. Because of his inner conviction that law and order is important, he takes on the bad guys with impossible odds against him. Since this is a family film, there are no major surprises in the plot, and the filmmakers focused on texture instead. Like most films of this genre, internal plot features are repeated in different contexts to achieve both continuity and contrast. Characters, while one-dimensional, also exist as people with relatively complex motivations formed from a balance of self-interest and goodwill. What initially seem like simply stereotypes expand to show the reasons behind the behavior, reducing the implied mindlessness of lifestyle choices. This allows the filmmakers to mutilate, spindle and destroy those roles and bring out the absurdity of our time.